NFL Free Agent Dwight Freeney explains why he is suing Bank of America for $20 million over fraud. 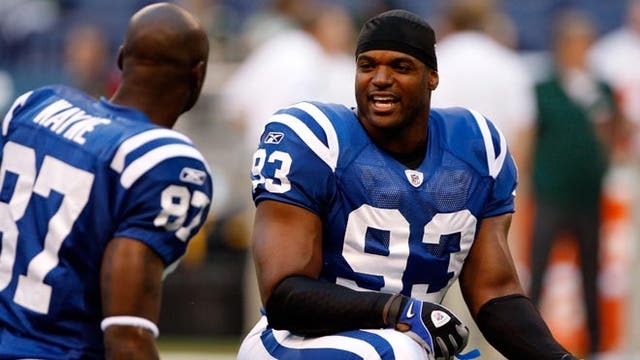 NFL linebacker and free agent Dwight Freeney sued Bank of America (NYSE:BAC) and its advisors in Superior Court for $20 million saying he “became the victim of an elaborate and malevolent scheme to defraud.” according to a 138-page filing. As a result, Freeney said he was forced to close his Hollywood restaurant Rolling Stone. Freeney and his partners at the Roof Group entered into a licensing agreement with Rolling Stone Magazine, which granted the partners the right to construct and operate a Rolling-Stone themed restaurant in Los Angeles and an option to do the same in New York and other cities. The suit cites the principal participants in the scheme as defendants Michael Bock, a senior vice president and the head of Mr. Freeney’s BofA financial advisory team; Eva Weinberg, a former BofA, Merrill Lynch advisor, among others. The suit was filed in Superior Court for the State of California in Los Angeles County. Dwight played for the Syracuse University football team from 1998 to 2001.